Calculating the date on which ancient events happened is a fraught business, and one that is prone to error. I can live with that, especially if the event is the Battle of Gaugamela, which is said to have been fought on this day in 331 BC. 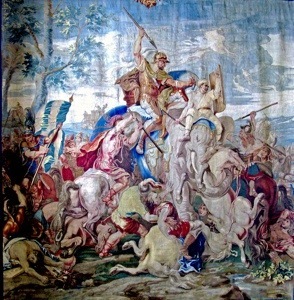 Stop what you are doing, get a glass of wine and toast to Alexander’s triumph, the spread of Hellenism, the fall of the Persian Empire, the end of the Archaemenid dynasty, and feel free to shed tears because you weren’t alive to see it all happen.